A string can be split into substrings using the split(param) method. This method is part of the string object. The parameter is optional, but you can split on a specific string or character. Given a sentence, the string can be split into words. If you have a paragraph, you can split by phrase. If you have a word, you can split it into individual characters. 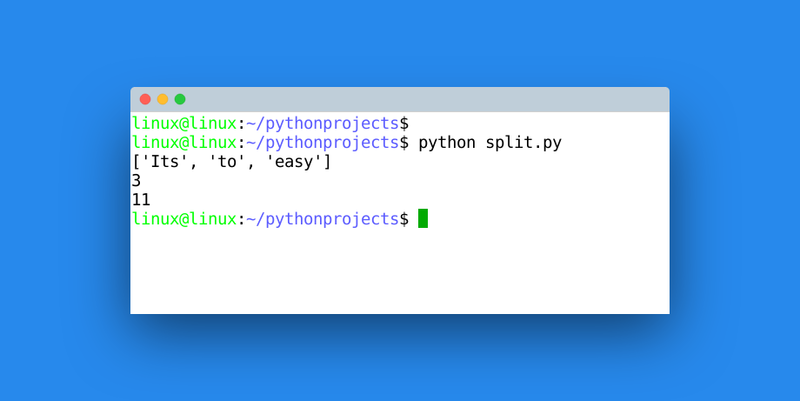 In most cases, the split() method will do. For characters, you can use the list method. If you have a string, you can subdivide it into several strings. The string needs to have at least one separating character, which may be a space. By default the split method will use space as separator. Calling the method will return a list of all the substrings. The demo below splits a string into characters. s = "Its to easy"
A string can be reconstructed with the join method, which combines a sequence into a new string. Can a string be split on multiple characters? Given an article, can you split it based on phrases?